What's in it? Iced with lemon, cocktail and honey mustard sauces or steamed with drawn butter, or even create your own surf-and-turf accompanied by one of Tavern on Rush's Prime aged steaks. Suggested pairing: Something with bubbles for the chilled Crab Legs, such as Veuve Clicquot. Something crisp and sweet for the Steamed Crab such as the Kim Crawford Sauvignon Blanc. Executive Chef John Gatsos says: "Crab connoisseurs prefer them chilled with lemon, and a simple sauce, many enjoy them steamed with drawn butter. Personally I love both preparations. 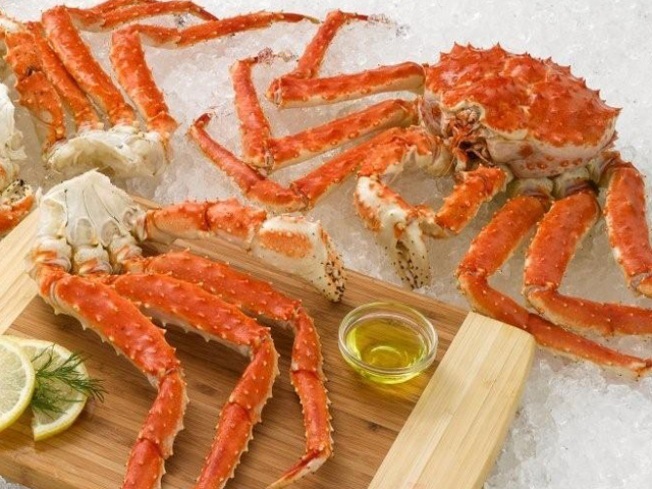 If you enjoy crab and haven’t yet tried fresh Red King Crab, legs, now's the time!" Crab season has started, but the scuttling decapods apparently aren't willing to go down without a fight. The catch turned deadly for the human participants this week when a fishing vessel capsized near Bodega Bay. The fishing line became tangled in a propeller, tossing five people into the freezing water. Several were treated for hypothermia, and a 71-year-old man died. None of the victims were wearing life jackets. Conditions were rough at the time. Winds were reaching 30 mph and the water temperature was in the mid-50s. It's the second awful incident in the area this season. Just a few days ago, a fisherman lost the tips of his fingers when his hand was caught in a crab block. Crab blocks are parts of the system that hoists crabs out of the water and into the boats. The victim was in his late 40s. The setbacks have been numerous this year. Aside from the loss of life and limb, the season was delayed by late maturation. Fisherman had to wait a little longer before the crabs aged enough for a harvest. Nevertheless, some industry experts say that the season has been strong so far. Previous years' catches have been light. San Francisco's crab industry usually nets about 1,500 tons of crab meat in a year. Illegal poachers are estimated to have hauled in 350,000 crabs last year.